SEO.com is an experienced online marketing firm with a record of success. We have worked with a wide range of companies, from Fortune 500s with major international presences to startup businesses with highly focused local clientele. We also use our local marketing skills to help hundreds of smaller businesses in a variety of industries. Dentists, plumbers, veterinarians, dermatologists, and other specialized industries benefit from our dedicated, professional digital marketing campaigns. Getting started is easy. 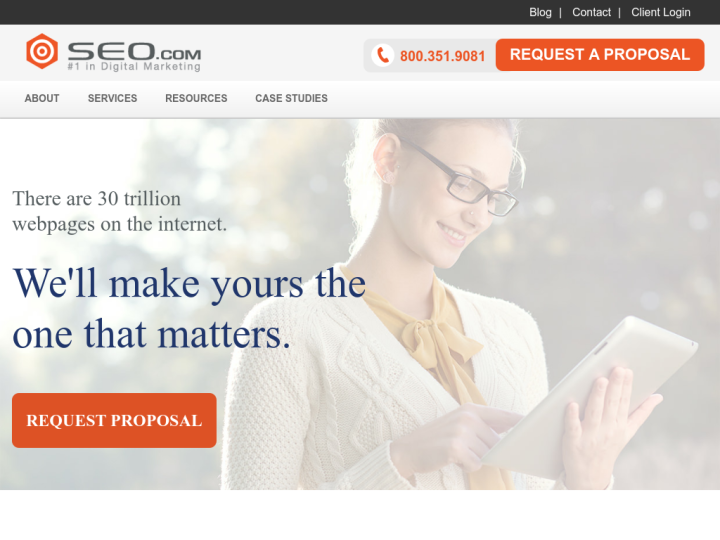 Please call 800-351-9081 or use our interest form to see what SEO.com can do for you. Call us: (800)­ 351-9081 - SEO Marketing in Draper, Utah. I love SEO dot com. Everyone there is great to work with. Talk to us Notion Age SEO if you are looking for a professional SEO services for SEO in Singapore.